In Penny Dreadful: The Awakening #5, it’s Hell on Earth, quite literally. In this brand new story arc, we watch as our dutiful protectors are vanquished, forcing them to retreat and formulate new plans to defeat the evil that has taken root in the body of one of humanity’s strongest defenders. I am a latecomer to this franchise, but I have quickly learned that it is a gloriously built world with a rich and inviting concept. Last year, I reviewed a new comic that was the beginning of a prequel story to the Penny Dreadful Showtime series. I also mentioned that I had yet to see any of the series, but that initial issue piqued my interest. Well, here we are several months later and I have binge-watched the entire TV series. 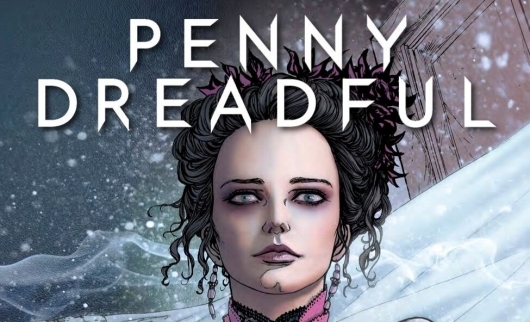 Suffice to say, I loved it and was extremely happy to see Penny Dreadful Volume 1 TPB in my inbox last week. 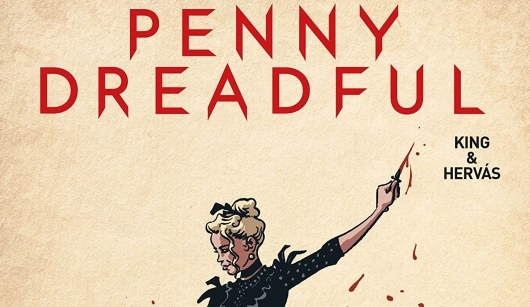 I’ve never seen the Showtime series of the same name, but if it’s anything like Penny Dreadful #1 then I’m going to have to track the first episodes down and subscribe to it immediately. Truth be told, I never knew it had anything to do with the gothic novels of yesteryear; that alone is enough to get me interested. Additionally, after having read this wicked little piece of sequential art, I am fully prepared to indulge myself with this franchise. Why, you ask? Keep reading and I’ll tell you.